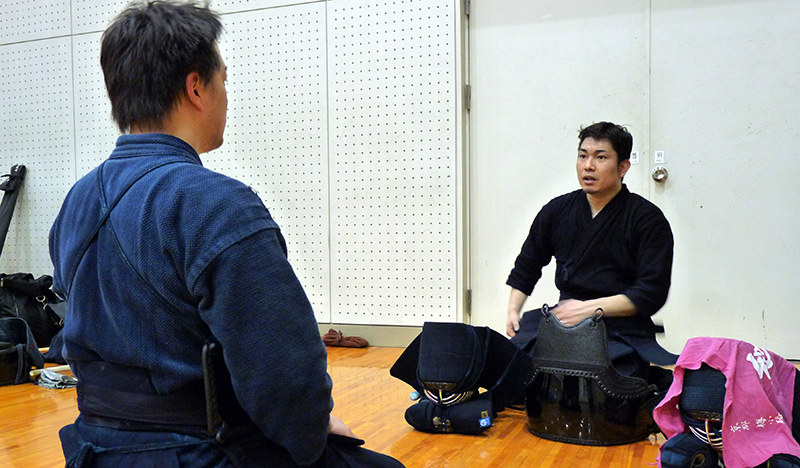 Hayashi-san, you taking Kendo Kyoshi 7-dan while still being in your 30s without once failing an examination. How do you feel about it now? Well, previously I was thinking primarily about my own kendo, but now that is not enough for my position, so I feel strongly that I need to train harder to gain the skills and the character fit for this dan-level. Has your kendo changed from the past? I have become stronger mentally. For example, I don’t waver any more in my posture or my thoughts. I have more opportunities to stand in front of others now, so I cannot show any embarrassing kendo. I also have more opportunities to train with others, and absorbing different kendo styles from different players has allowed me to grow in my repertoire of skills. I have also learned to put more weight on the mental side of the game. Rather than looking at the small things in front, I have want to be able to look at kendo with a wider perspective. Looking at different kenshi, have you noticed any areas that have changed or things that haven’t changed? Good or bad, it’s become more of a sport. It’s probably because instructions are more aimed toward the match. Of course matches are important. From the old days, matches have been the place of showing what you’ve got. But in the old times, you were fighting for your life, so the mental aspect was hugely important. 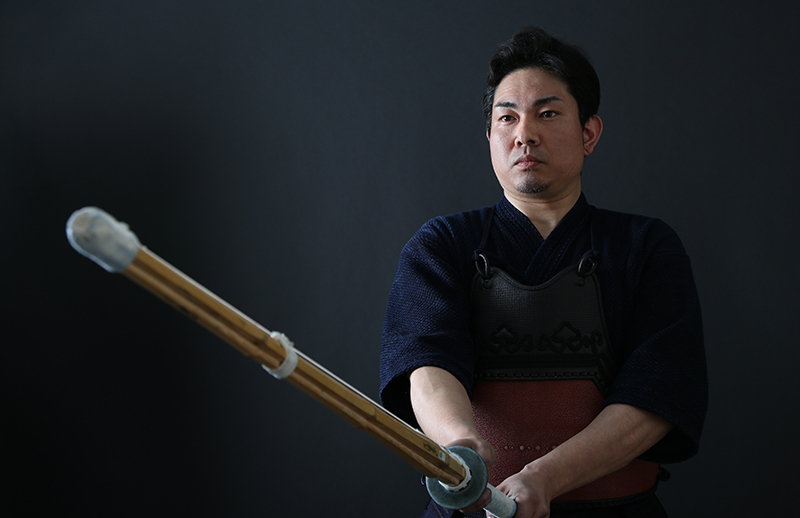 Nowadays, it is all about trying to get your shinai to hit some part of your opponent’s gear. Many kenshi put everything into getting the ippon, and the process in getting there and keeping your guard after the ippon are being neglected. You see many scenes that make you think that way. Is it because the instruction methods have changed? 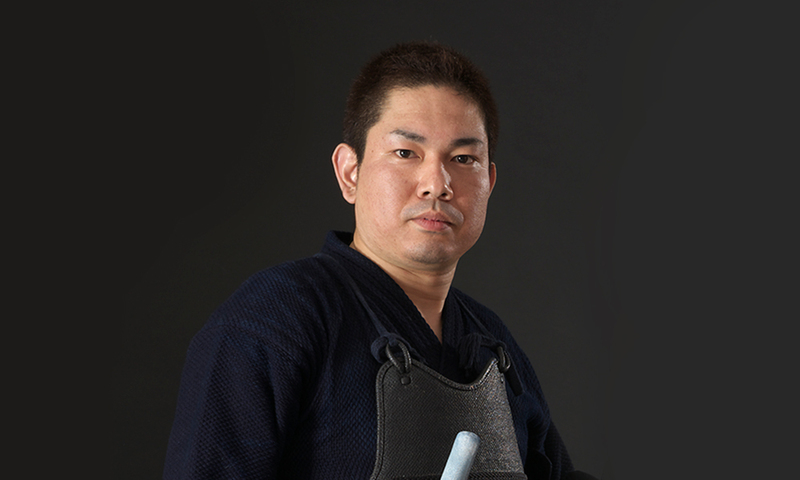 Your friend, Kiwada Daiki often goes overseas to instruct as All Japan and the World Kendo champion. 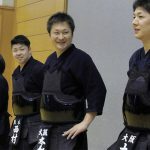 What is kendo instruction overseas ilke? This is something he says often: ‘If you are just hitting each other to try and win, it is no different from fighting with a stick in hand, but the difference with kendo is that it has manners and the correct use of the sword, and that is why it is called kendo.’ I feel exactly the same way. If we neglect the manners and the correct use of the sword, you can no longer call it kendo. I hear it said that it is harder to climb up the dan-levels in Japan than it is overseas. The rules are the same. The number of examiners are the same, and you do exactly the same. It is held in the same conditions so I don’t think you can say which is harder. What is important in the exam is to be able to move the hearts of the examiner. If you exhibit the skills that can convince the examiners that you are worth it, and you meet all the conditions for that level, you will pass. However, in Japan you have more participants in the exam than overseas, so in that sense perhaps people consider it more difficult for those sitting the exam in Japan. We often see people give instruction on YouTube, but does that not lead to incorrect instructions? Yes, that can happen. Basically, what is on the kendo instruction guidelines published by the All Japan Kendo Association is correct. 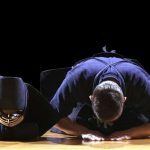 Some people my elaborate on that with their individual flavor and give video lessons, but that will not lead to correct kendo methods and will not even help you pass the exam. 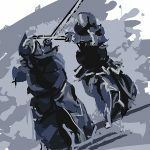 But from old times there have been many schools of kendo, and in some regions those old styles may have remained and produced rare skills and attacking moves. So we can’t say they are all wrong either. Nowadays you hear people referring to themselves as “professional kenshi” but is there a such as thing as professional or amateur for kenshi? Calling themselves ‘pro’ is a self-reference so I think it’s fine, but it’s up to the moral standards of that person. If by ‘pro’ people think that, like other sports, they are making their living solely on the prize money received at tournaments, then there are not professional kenshi even in Japan where the sport originates, and the term ‘professional kenshi’ itself is erroneous. This is because those who are serious about kendo practice it was part of their own character building. In Japan there is an old saying ‘as the rice plant grows, its head bows lower’. Those who take up Budo, I believe, must stay humble. So I think a kenshi should never talk bad of others in order to sell their name, or to betray those who have helped them get to where they are. The heart of kendo is selfless, right? Exactly. Of course there is nothing wrong with charging a monthly fee for using the dojo in order to keep it running. But there are some people who use kendo as a method for accumulating their own wealth. Many high dan holders in Japan teach children or hold lectures as volunteers. They only receive compensation for practical costs, and never think of using those opportunities to make money. 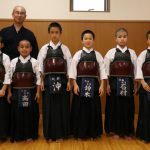 Even instructors who have 8-dan believe that the most important work is the spreading of correct kendo, and they are dedicated to raising up the next generation without getting paid.